The patent leather uppers are pristine with no wear. 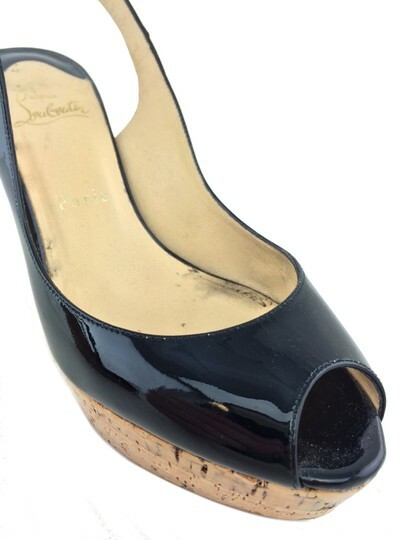 The back above the right heel has a small scuff. 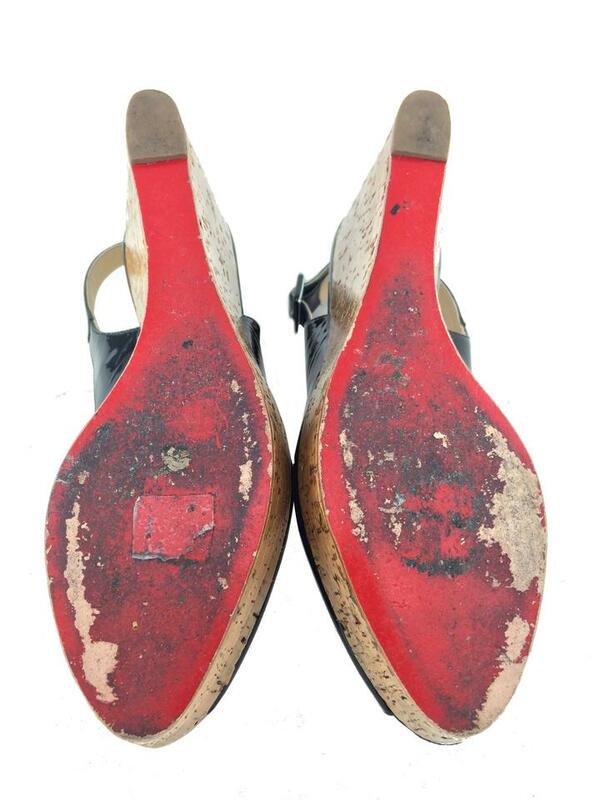 Scuffing on bottom soles. 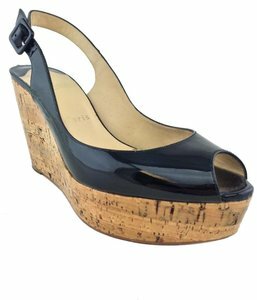 Christian Louboutin Une Plume Slingback Wedges in size 8.5/39 featuring a natural cork platform and wedge heel with black high gloss patent leather uppers. 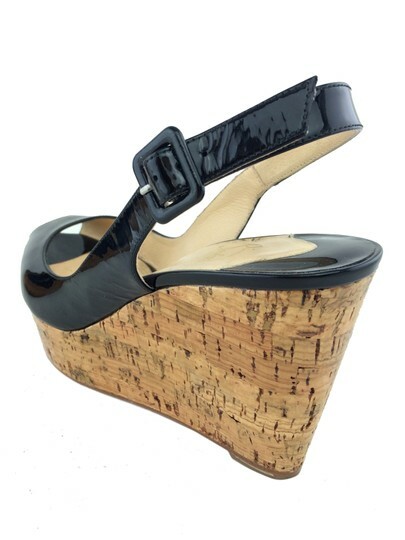 - Natural cork heel, 4''. - Natural cork platform, 1.25''. 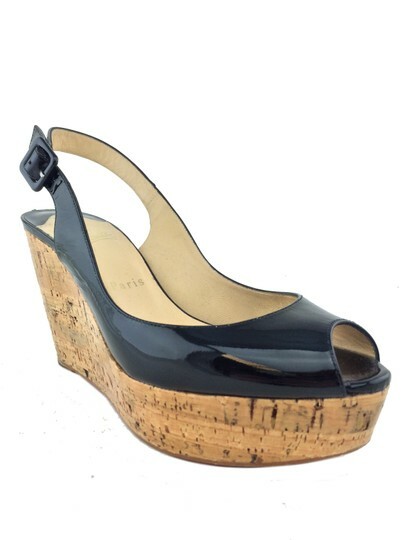 - Signature red glossy sole.